Pitt Street was a fairly well-known address for some, being the former location of Glasgow’s Police Headquarters. If I recall correctly it also had a small museum, dedicated to the more unusual items confiscated over the years. One item that stuck in my memory is of some really old £5 notes (from the days when £5 was a LOT of money), however they were not normal £5 notes, nor were they forgeries, but they were still part of a con or scam. Although they don’t say how it was achieved, con men of the day could split the old notes through their thickness, producing TWO notes from ONE original. Obviously, they had a genuine print on one side, but were blank on the other, so had to be presented carefully to fool the person the split note was handed to in payment for something. The closest answer to ‘How did they split the notes?’ I ever got was simply that they used a razor. I consider myself reasonably handy with small items, but I don’t think I’d even try that, let alone have any success. I don’t move in the right circles to know anyone connected to it, but I did know someone who got sent there one day, to act in his official capacity as an officer for the RIS (Radio Investigatory Service). This was back in the days of ‘illegal’ CB operation, and when he got there was told he had to sign off on the destruction/deactivation of a lorry load of illegal CB radios which has been seized. This involved the radios being laid out in the car park, then being driven over by Land Rovers until they were just a layer of useless scrap, to be scraped up and dumped. With all the changes, that went some time ago, and the site went up for sale, but it seems that nobody wanted to buy it. I knew it was being demolished, but never noticed it happening, as I generally only got to Pitt Street itself, where the entrance was, and that’s generally unaltered (for now at least, but not for long). They started the demolition at the other end of the building, which meant I didn’t see this until I happened to approach from the opposite direction recently. Pretty sure this is what they refer to as ‘demolition’, and it’s well underway. While the fire at the Mackintosh Building seems to have generated little more than a witch-hunt for someone to blame (and either burn at the stake, or maybe just fire) and given some really really hostile Glaswegians the opportunity to demand the site be razed and reused for something ‘useful’ which, does not need any public money, the Notre Dame fire of last week seems to have brought a more sympathetic response. There was an almost immediate response which had promises of rebuild and restoration, with no calls for blame apparent, nor any demands that no money e wasted on restoring an old ‘pile of junk. Also, unlike Glasgow’s fire, there was consideration of arson, which I don’t recall seeing anyone suggest may have been the reason for the blaze. I found that unusual in a place once known historically as ‘Tinderbox City’ – but to this day, I can’t recall seeing even consideration that arson or deliberate fire-raising was behind the fire. However, it seems that Notre Dame is not the only such building to have gone up in flames recently, and due consideration to arson HAS been raised in that respect. Then again, Notre Dame was also being renovated. Still to be found (for the moment at least) in Church Street, just off Dumbarton Road, this University Of Glasgow Faculty Building was the Department of Virology. I hadn’t really noticed it before, being preoccupied with the adjacent multi-storey building, the Pontecorvo Building, Basil Spence and Partners in association with Peter Glover, 1961-1962, which housed the Institute of Genetics, or more interestingly for me, a Paternoster. That item featured in an episode of ‘Taggart’. As can be seen, these building are now abandoned, and you will also see a demolition contractor’s van parked nearby. The entire area behind this building (mostly the old Western Infirmary) has already been razed, and cleared for new development. I assume the two buildings mentioned here will suffer the same fate soon. In June 1957 Basil Spence and Partners were commissioned to design the Institute of Virology for the University of Glasgow. The building, situated on Church Street adjacent to the Western Infirmary, was designed during 1958 and the construction was completed by 1962. The new building was to house the first Virology department in the UK, and contained laboratories, research rooms, staff rooms and a library. The four-storey concrete structure is clad in glass mosaic panels and green slate slabs. In 1958 the practice was also commissioned to design the Institute of Genetics on an adjacent site, but construction work did not begin until 1962. The resulting building, completed in 1966, was a seven-storey structure built with reinforced concrete and clad in glass mosaic like the Institute of Virology. I also read that the taller building was supposed to be twelve storeys, but Prof Pontecorvo objected to sharing space with other departments, and a compromise was eventually reached, seven storeys still in view, for the moment. The Department of Virology building’s view is blocked by the narrowness of the street, and it’s usual to take pics from either size, looking along Church Street. It also managed to catch a fair part of the Pontecorvo Building, on the right, which is interesting as it shows that the north face of this building has quite a few windows. If you look at the other side, it looks as if it has very few. No idea if there was a reason for this. This is the more usual view. I even managed a pic from the other side, as noted, few windows. I’m including this since earlier pics I thought were in here have disappeared. As you can see, the older, adjacent historic building (Anderson College, B listed) is staying. A modern one, with concrete and rebar, is already going. In the few days since the above pic was taken, this concrete lump has been wrapped in scaffolding and a big plastic bag, to keep the dust down while it is pulverised. No actual news this week, but I did see a related item in another article, and it is something which I don’t think has been properly reported by the media. Rightly or wrongly, I get the impression that the only thing the media (and the Art School and its board’s detractors) concentrate on is Blame, and the Cost of rebuilding. The former for no reason other than its lust for a public hanging (it wants more heads to roll), and the latter so it can complain and whine endlessly about that cost, and who foots the bill. It has since emerged it cost the local authority £569,000 to carry out emergency repairs at the Glasgow School of Art when it burned down last June. 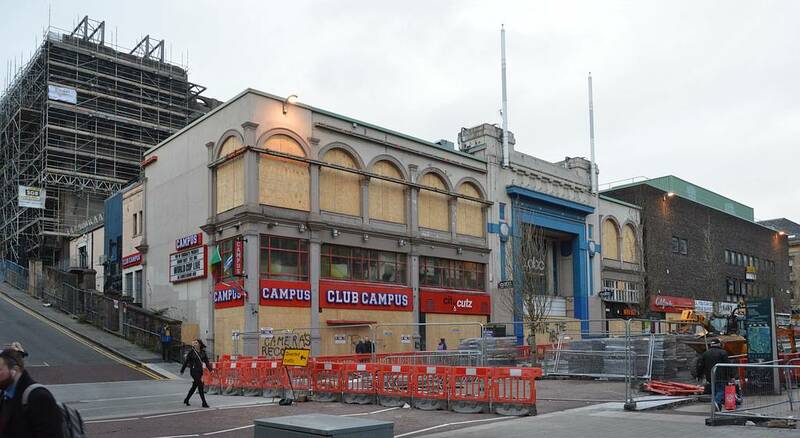 This figure comes into public view as it seems that the simple ploy of a tangled web of owners stretching to India means the council might only recover half of £1.4 million spent on similar emergency repairs following the fire at Victoria’s Nightclub along the road. Councillor Frank McAveety said: “The overall cost for the council to deal with the site is £1.4m which is taxpayer money. “At the moment officers expect to recover just 50 per cent of the cost but it is hard to get the full amount from insurers as we do not know where the owner is currently living. “We are still trying to clarify who owns the building as it has changed hands several times. I believe the current owner is living somewhere in India. While I’ve no intention into descending into some sort of nit-picking analysis, it seems that the Glasgow School of Art is getting a lot of kickings, but will have to pay its bills (and these are not even for restoration work), while some property or club owner at a distance enjoys a substantial discount at our expense. If they are ever even identified and presented with a bill which can be enforced. And at a time when Glasgow City Council could well do without having to squander its funds on compulsory, safety related works on private (moneymaking) enterprises, while public venues go wanting for millions to rescue them. With no more news of the ‘Witch Hunt’ following the board of the Glasgow School of Art (personally, I’d be getting my Little Black Book out, and taking note of the names of the most vociferous ‘hunters’ – wondering if they are making so much noise about others in order to divert any attention from themselves), I thought I should acquaint myself with the O2abc building, since it’s one I’d never had reason to pay any attention to. I didn’t even know it was in use, having never seen its doors open. Guess I was never nearby at the right time. Since the odds on what’s left of the building being left standing for much longer, I took the opportunity of a decent day to fly past and collect a few pics. At the time, there was a fair amount of work underway in Sauchiehall Street (and there still is, although it is coming to an end), so some views and shooting locations were restricted. I still managed to get just about the same shot I’d have taken of the front entrance and door, even if there was some large machinery abandoned nearby. Looking west at the corner of the building. At the time I couldn’t really get a decent view by moving further to the left (to match the west view above) as there was too much junk and pedestrian control fencing in place, and took this standing in Douglas Street, but still had to stitch two images together to get the shot I wanted. So, I’ll have to check back, and hopefully get a second bite at this once the street is cleared. So, they cleared the street, and I did get my ‘missing’ pic for the set. Finally, a look at the Scott Street side. Some fairly well twisted steel roof beams on show there. The weather got fairly crappy after I took these pics, and I haven’t been back since, so the street may be clear now. Since we’ve moved the clocks forward, I should take an evening ride in to see how it looks since I was last there. This isn’t strictly the Mackintosh Building, but since other buildings affected by the fire have been given considerable publicity, I thought I should redress the imbalance and include one which has not, so far I’ve noted it mentined in stories fed to me, been given any attention. Standing directly across from the Mackintosh Building, on the other side of Renfrew, is the relatively recent Reid Building. Named after Dame Seona Reid who stood down as director of the GSA in 2013, the year before the building was completed, the new structure was given a plain monochrome finish, featuring an external skin of semi-transparent acid etched glass panels with a green tint (actually the glass’s natural colour). Although I wasn’t able to visit the site for some time after the second fire, and there was no access to view the facade of the Reid Building, I’m reasonably sure I could see evidence of the cladding having been melted by the heat radiated from the blaze in the Mackintosh Building, and of material having melted and dripped or run down the front of the new building. I could only see this looking from the side and behind, and had no recollection of the structure, and with so little to be seen, didn’t try to take a pic, In retrospect, it would probably have made sense to have tried. Today, Renfrew Street is open, to view at least (and take pics from Scott Street), if not to walk along, and the state of the facade can be seen. Still clearly ‘work in progress’. The damaged glass and cladding have been stripped, the surface behind has been made good, and the fixings which will eventually hold new cladding have been set in place. Looking a little closer at the detail. A look at the cladding fixtures, since they’ll disappear from view once the cladding is fitted. Finally, a reminder of how the facade looked when seen from Scott Street just after the Reid Building was opened back in 2014. A damning report into the fire which destroyed Glasgow School of Art for the second time in four years will call for a full public inquiry, STV News has learned. MSPs on the Scottish Parliament’s culture committee have been investigating the circumstances surrounding the blaze at the Mackintosh building last June. Their findings will be published on Friday, however in sections seen by STV News they express grave doubts about the school of art’s management. Committee members also criticise evidence provided by those involved in rebuilding work following the previous blaze in 2014. Ultimately, the MSPs feel they have taken their investigation as far as they can, and believe a full public inquiry is necessary. They argue that the massive cost of rebuilding the art school justifies an inquiry similar to those held into the construction of the Scottish Parliament and Edinburgh trams network. The other media sources later caught up with STV’s early mention of the report. Glasgow School of Art (GSA) has been criticised by MSPs in a report into the fire which devastated the Mackintosh Building last year. Holyrood’s culture committee said the school did not give sufficient priority to safeguarding the building. The blaze ripped through “The Mack” in June 2018 as a £36m restoration project, following a major fire four years earlier, was nearing completion. The GSA said it intended to “learn lessons” from the report. The MSPs also said a full public inquiry should be held into the circumstances surrounding the two fires at the building. The committee’s report concluded that prior to the first fire in 2014, the art school had not addressed the heightened risk of fire to the Mackintosh Building or carried out an adequate risk assessment. However, it said there were some “factual inaccuracies” in the report. There should be a public inquiry into the circumstances surrounding the two fires in four years that left the Glasgow School of Art (GSA) badly damaged, a Holyrood Committee report has found. The renowned art school was extensively damaged last June while it was undergoing a £35 million restoration programme following the previous fire in May 2014. The Scottish Parliament’s Culture Committee published its report on Friday after taking evidence on the circumstances surrounding the blazes. The report found that in the period up to the 2014 fire, GSA appears not to have specifically addressed the heightened risk of fire to the Mackintosh building and was not convinced an adequate risk management approach had been taken by the art school with specific regard to the building. The committee also said it was concerned about the length of time taken for a mist suppression system to be installed in the Mackintosh building and questioned whether more could have been done in the interim period to protect the building. Committee convener Joan McAlpine said: “The board of Glasgow School of Art were custodians of this magnificent building, one of the most significant to Scotland’s rich cultural heritage. “They had a duty to protect Mackintosh’s legacy. The committee is calling on the Scottish Government to establish a public inquiry with judicial powers. The other media sources took a little more time to catch up with this. Maybe the MPs who wanted to be seen to be ‘DOING SOMETHING!’ to get some votes asked them to wait so they could get their names dropped. I can’t even be bothered throwing a comment at them – they don’t merit it. The eventual finding was made obvious weeks ago, before the hearings even began. I have little time for those who stand tall and proud AFTER an event, and declare how they are such experts and knew how it could have been prevented. WHERE WERE THEY BEFORE THE EVENT, AND WHERE IS THE RECORD OF THEIR ADVICE BEING LODGED AND REJECTED OR IGNORED? Not really Mackintosh Building as such, but I don’t want to miss related issues. As noted in the last summary (S34), some people seem to think this O2 ABC building has some merit. One showboating Glasgow MP (cough Paul cough Sweeney cough cough) who already created a stink about the Winter Garden at the People’s Palace being closed, when he got himself some publicity with fantasy claims that the council had just killed off all the plants, is suggesting the building MUST be saved, yet seems to have no clue whether or not there is any structure to save, or if what is left is fit is structurally fit to be saved. Certainly the engineer’s reports seem to suggest a level of damage from not only the fire, but the water from the efforts to control the blaze, and subsequent damage done when retained water was released, that render the remains useless. It would seem better to have simply recommended façade retention instead of all the emotional garbage we’ve been subject to by some. However, who will pick up the tab? This was an events venue, a private venture where promoters and performers made money. Was the place insured properly? Is there a pot of money going to the owner since the property was damaged by a fire clearly not of their causing? Time to go to Kickstarter, ot GoFundMe. Or get a paper cup, and join those already begging for money in Glasgow city centre. If the building is to be returned, or even the façade retained while something similar goes up behind it – then a commercial case and funding needs to appear. Not just some whining by a trendy opportunist MP who seems to want to be noticed on the backs of others. People who know better/more than him have stated “Construction expects have said the building is ‘economically unsalvageable and unrepairable’“. Reading some of the comments made about an application to demolish the few remains of the O2 ABC venue made me go back and reread the announcement that it was actually just an application at this stage, and that the demolition had been approved. 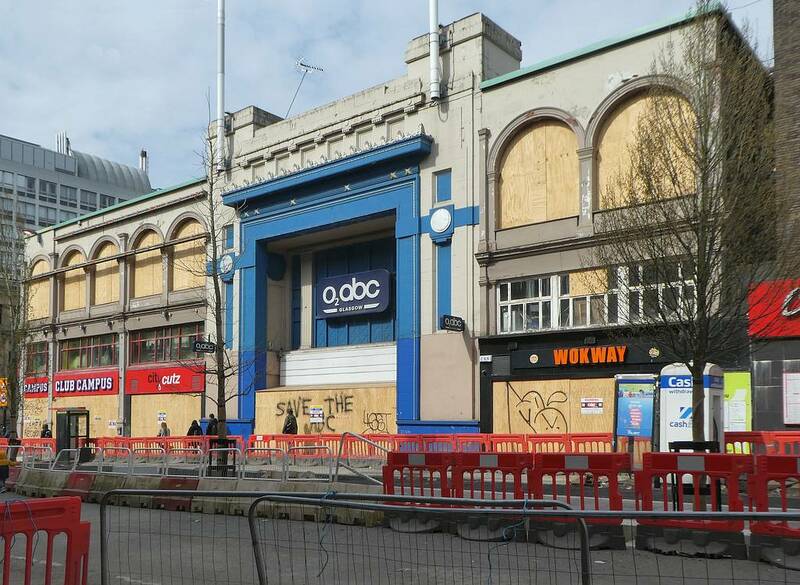 Plans have been submitted to demolish the O2 ABC in Glasgow, BBC Scotland understands. The music venue was severely damaged when fire broke out in June 2018 at the neighbouring Glasgow School of Art building for a second time. During the ABC’s 144-year history it has been a diorama theatre, a circus, a dancehall and a cinema. The O2 ABC, which opened in 1875, has had a long history. By 1888 it became one of the first buildings in Glasgow to be fitted with electricity and in 1896 was the site of Glasgow’s first public film. Construction work on the art school began next to the entertainment venue in 1899. As well has being a cinema venue it has been home to a dance hall, a circus, a pub and restaurant and an ice skating rink. I’d never even heard of the place, other than passed it as a cinema if I was along Sauchiehall Street, but not one I’d ever been in (so, I’m a peasant that haunted the east end). GLM director David Gibbon, a chartered building surveyor accredited in historic building conservation, told STV News that Historic Environment Scotland and Glasgow City Council will first look at the significance of the building before deciding whether it can be demolished. He said: “It’s such a multilayered building according to the list description that there are lots and lots of different aspects to the significance of it. “Probably, what you can’t say is that the fabric of the building is all that significant because it was largely rebuilt and then much more recently in the 21st century completely done over on the inside. Mr Gibbon stated that the officers will consider who built the building, how important it is architecturally, and whether a better structure will rise from the ashes. He added that other factors will be taken into consideration, including its past as a dancehall and circus. Mr Gibbon stated that there will most likely be a presumption in favour of finding an economic use for the site. He said: “It is a C-listed building, not an A-listed building or even a B-listed building. “So it’s of local significance, not everybody in the world has heard of this building. 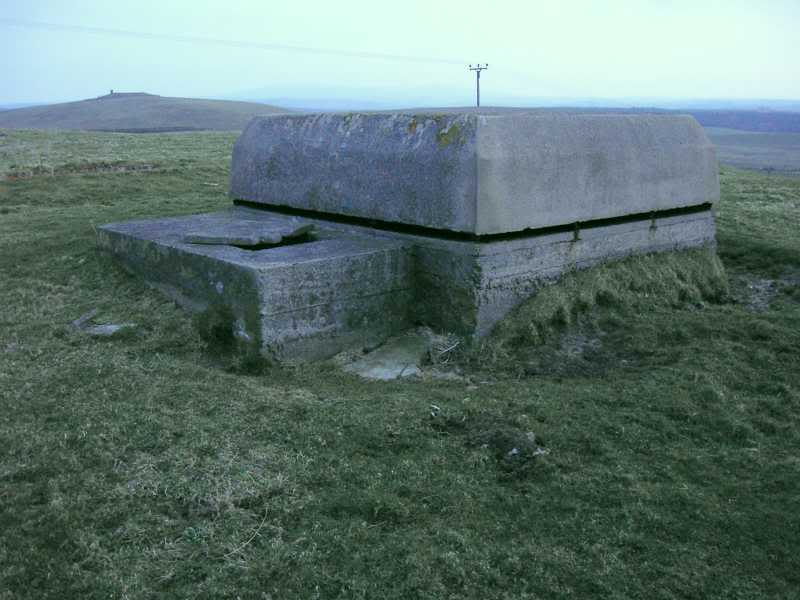 “And it isn’t a great landmark, and in fact it was only listed in the 21st century so it doesn’t go back very far. “If that which is significant about the building has largely been lost in the course of the fire, then really there isn’t a great deal of point in trying to create a replica of that. “If, however, a lot remains of particular value and interest as far as the public is concerned, then that will be weighed in the balance. I read that analysis as pretty much summarising an application that will be approved, with the provision that the façade is retained. It would be hard to justify anything that required more cost or effort. Concert promoter Paul Cardow said the loss of the venue was “a blow to the local community” in an interview after the horrific blaze . He added: “The sad thing is the street was finally getting back on its feet. “It was being redeveloped and the art school was almost finished and we would have all the students back in the area. A promoter, and concertgoers, might think that. And I guess we know what part of the community was responsible for the various comments made against any thoughts of restoring saving the Mackintosh Building almost as soon as articles appeared in the media, and allowed comment to be made after them. These comments are pretty poor, and I hope strangers to Glasgow don’t take them as typical of the wider community. Others expressed their fears over the future of one of Glasgow’s busiest streets. Businesses have suffered following two blazes in the space of a year along with the council’s regeneration scheme, which has seen parts of the high street shut off during works over the last year. “Wonder what hotel will be built there now?” John Campbell Clark deadpanned. Blame the Mackintosh Building fire. If I was as ‘nice’ as some of the folk who made their views on the Mackintosh Building crystal clear, I’d probably be asking who the ‘Delusional 4,000+’ were, and what was wrong with them. But, of course, I won’t. What I would say is that people (not looking at any one side of this story now) really have to grow up, and STOP concentrating on wider issues as if they were single issue subjects, where only ONE view is the correct or acceptable approach. As I’ve already noted above, I’d never even heard of this O2 venue before, don’t care about it, BUT… I do want the remains of the structure left behind saved, however, I’d qualify that by adding if possible, and economic. Lesley Mitchell, who grew up in Airdrie, launched a petition which already has more than 4,000 signatures. Speaking to Glasgow Live, Lesley explained why she started the petition. She said: “I heard on the radio that the plans had been submitted to demolish the building and I was very sad to hear that. “I checked to see if anyone had already started a petition and didn’t find one, and so decided to start my own. The petition is being pushed along. 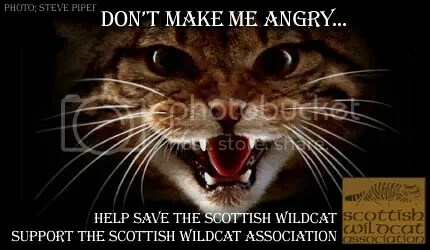 This has brought about further submissions from the GSA to the committee. The Glasgow School of Art has submitted new evidence to MSPs about the second fire which broke out following what they say is “a need to address further rumours, supposition and speculation”. Earlier this month, an expert said he was “incredibly puzzled” as to why a mist suppression system that survived the first blaze in 2014 was ripped out of the Mackintosh Building before the second fire last June. Independent fire, security and resilience adviser Stephen Mackenzie was giving evidence to the Scottish Parliament’s Culture Committee when he stated “there should have been a temporary or phased installation” of the system. Following his remarks, the GSA has lodged a new document to the committee regarding the system and the £35 million restoration programme. Pumps on site but not yet installed suffered extensive water damage, it said, with much of the pipework in the western half of the building destroyed. An up-to-date system was included in the project, with GSA again saying no temporary measure could have been installed during construction – even after seeking expert advice. Did the GSA consult the wrong ‘experts’, and not Mr Mackenzie’s company, which would have been able to prevent the second fire? Clearly, this ‘expert’ advice was wrong – according to another ‘expert’ at least, who notably doesn’t have to prove it now. The new evidence states: “It is considered that the extent of restoration works could not have been carried out with a live fire suppression system being present as it would need to have the coverage, certification and equipment equivalent to that of a permanent system. “The significantly higher risk of accidental flooding/water damage is also likely to be too great for an insurer to accept. “These are all reasons why it is highly unusual to have an operational fire suppression system present during construction works of this scale and complexity, as the Committee has heard from various sources. If my comment sounds cynical, it is meant to be! I and sick and tired of the various people who turn up AFTER various disasters and tell everyone what was wrong with something, or that something was not done which should have been, and how they could have done better, and prevented the event. But this always seem to come AFTER the event, and there is usually no evidence of their efforts beforehand. Or way for them to have their claims tested. One of the best places to find these brilliant experts is in the Moron Comment section of The Scotsman, which now seems to be where the same people congregate regularly, and tell anyone foolish enough to read the largely mindless jabbering now found there. It used be interesting, now it is just insulting and repetitive – I gave it up a few years ago, and just glance to see if The Scotsman ever starts moderating it. The Glasgow School of Art has submitted new evidence to MSPs about the second fire that gutted the building in a bid to “address further rumours, supposition and speculation”. Earlier this month, an expert said he was “incredibly puzzled” as to why a mist suppression system that survived the first blaze in 2014 was ripped out of the Mackintosh Building before the second fire in June. Surprisingly only three comments listed, so I looked. Two moronic and one sensible, seems par for the course down there. Back in the news, at Holyrood, the Scottish Parliament’s culture committee has been taking evidence on the circumstances surrounding the second blaze at the Mackintosh Building. On Thursday it heard from independent fire, security and resilience adviser Stephen Mackenzie. The MSP asked whether the system should have been retained until a replacement was developed. Mr Mackenzie replied: “Categorically I’ve stated there should have been a temporary or phased installation and that could’ve been part of that basis. The art school said it was advised the system was unusable following the blaze. The committee also heard ventilation ducts which allowed the fire to take hold in 2014 were still in place at the time of last year’s blaze as they had been due to be rectified at the end of the restoration project. Contributions continued with further comment from another expert. Dawson Stelfox, a conservation architect at Consarc Design Group, gave an insight into fire safety assessments during the construction period and suggested the system should be reformed. He explained: “At the moment the statutory position on that is that a fire risk assessment has to be done, but the focus of that is on life safety, is on getting people out of the building in time, and it’s not on asset safety, it’s not on protecting the building. “I would suggest to you that it is worth the committee looking at changes to requirements and fire safety assessments during the construction period to also take into account fire asset safety and fire spread. The Glasgow School of Art added information about advice it was given. Referring to the mist suppression system, a Glasgow School of Art spokesman said: “As a result of the 2014 fire, considerable elements of the system were destroyed or damaged. The GSA sought expert advice which indicated that this system was unusable. “As you would expect, the GSA wanted to take advantage of improvements in the technology and install the best system for the building. A prevention system that survived the first fire was ripped out before the second blaze. Frankly, this smells of a common trend I’ve highlighted in media coverage recently, with a ‘clickbait’ headline claim which is NOT backed up by detail in the article. Odd that the media has apparently ignored earlier sessions of the committee’s hearings. Nothing they could use in those to get a ‘clickbait’ headline, or whip up some ‘Trial by Media’ goodness? MSPs today heard the final session of evidence in their investigation into the fire which gutted Glasgow School of Art last year. The Parliament’s Culture, Tourism Europe and External Affairs Committee heard from Historic Environment Scotland and fire safety experts at 9am this morning in its last hearing. The Committee will now deliberate upon the evidence it has heard and consider the future of the Art School. No significant changes seen when I’ve been past the building remains recently.